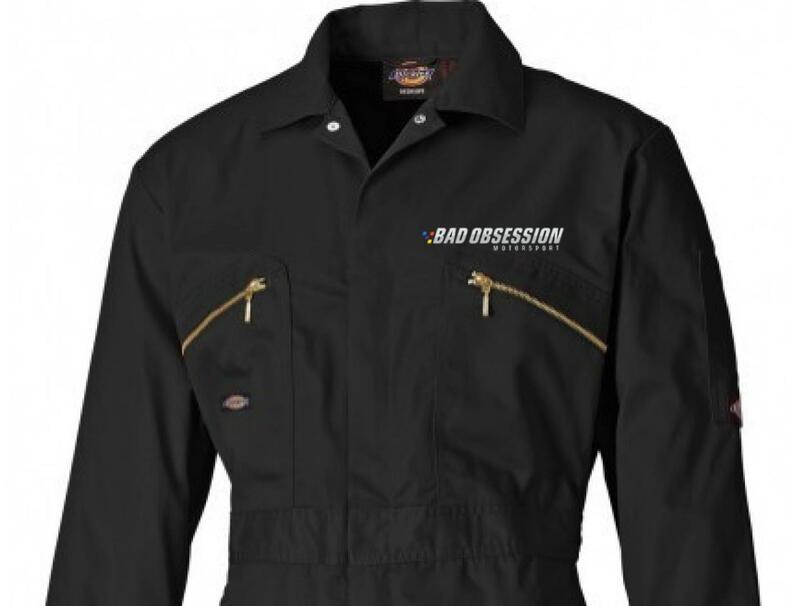 Official Bad Obsession Motorsport Working Onesie! It’s exactly the same as we use in the shed. 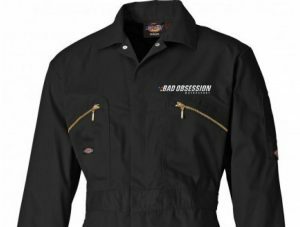 A highly durable and extremely practical product, complete with numerous pockets for tools and essentials. Plus the full back elastication means you’ll be comfortable all day long. This product is zip fronted. The fully embroidered BOM logo across the left chest means any tea made whilst wearing this onesie is guaranteed to be at least 25% better. Please note, this product is available on special order only. They will be made to order once the purchase is complete. Therefore it will take longer than usual to arrive. Please allow 7-10 days for manufacture and then shipping on top of that. Reinforced knee pouches to take Dickies knee pads. Full back elastication and an action back. Two large back patch pockets, one zipped. 36", 38", 40", 42", 44", 46", 48", 50", 52", 54"